Economy Seven storage heating, using cheaper off-peak electricity, certainly sounds like a good idea. 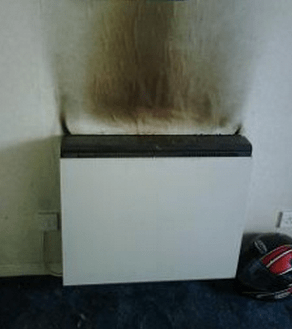 More recent heaters are a good idea – but some older installations may well be in urgent need of replacement. Older storage heaters are typically coloured brown, take up unreasonable amounts of living space, and tend to look unsightly in almost any room – especially one that has recently been decorated! There is little you can do to improve their appearance – you can’t cover them, and they can’t be painted. More importantly the older these heaters get, the more of your money they waste – every day, day in and day out. It takes a huge amount of energy to heat the steel brick inside them. Worse yet, this heat is very quickly lost, and all too often these heaters are barely warm when you most need them to be hot. 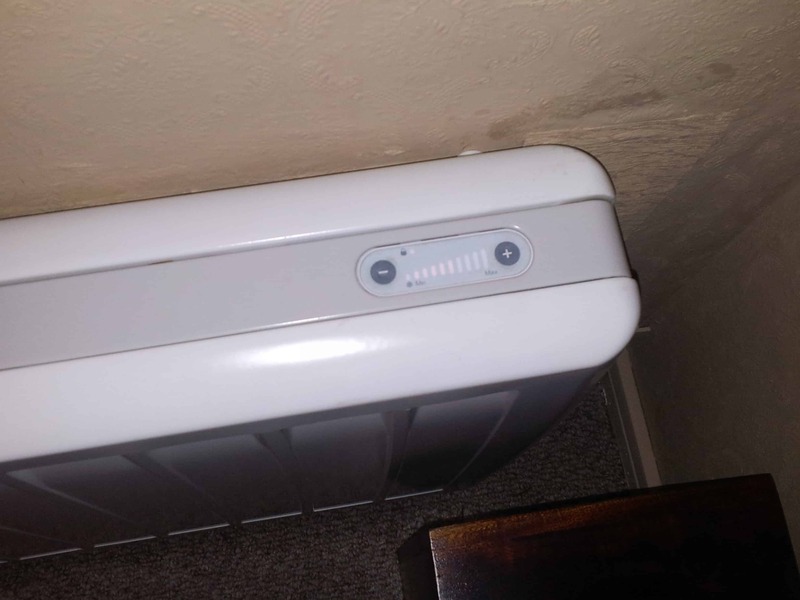 The element in the one shown here is overheating – notice the marks above the heater. This is bad, but the worst effects can be prevented if the fault is discovered soon enough. At Tack Electrical we’d like to save you money right away – so rather than wasting it on outdated storage heating like this, why not invest your hard-earned cash in a modern replacement? Choose from a range of new heaters that will warm up your room at half the cost of your old one. They’ll look better, too! Seen here is a Dimplex Duo-Heat storage heater. 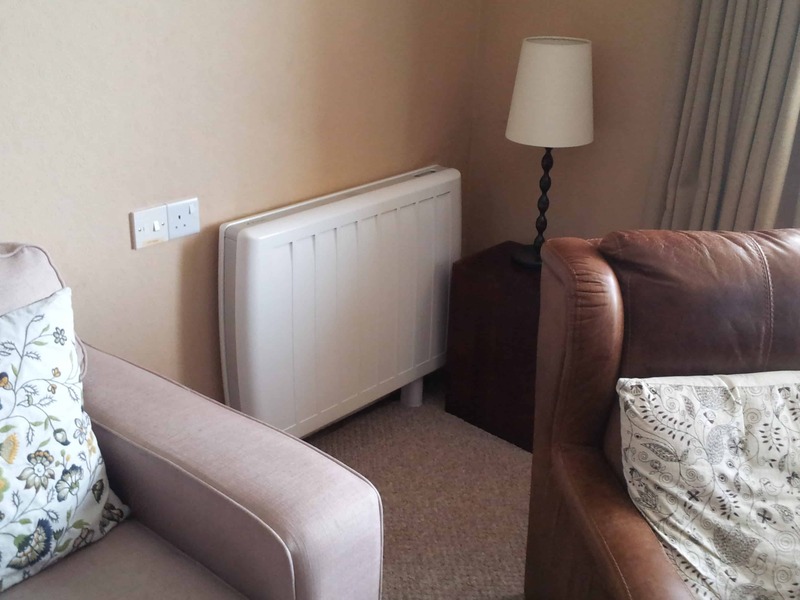 It works with an off peak (Economy Seven) powered heater at the back combined with an electrical gel packed behind the front cover to add comfort heat to any room or space. And the controls couldn’t be simpler! But please don’t take our word for it. Call us and we’ll arrange for a customer to call you and give a personal feedback on its ease of use. If this is not to your liking we can also service, clean, and replace parts for old heaters. Or we can source a like for like replacement when an older heater is no longer serviceable. Call us today on 020 8088 1816 to discuss your needs so we can help you stay warmer for longer.